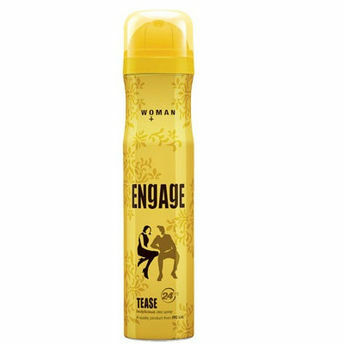 Engage presents a range of fresh and irresistible fragrances that keep the chemistry between him and her sizzling for 24 hours. Engage Tease is an interpretation of a classic fragrance where the fougere aromatic signature has been softened to make it feminine. The intense fragrance is a perfect companion for the sure and confident woman.